Thank you so much to everyone who has been in touch over the last few weeks, I really appreciate how very kind you are! Thank you also to new members of the Ravelry group, to the lovely people who have subscribed on YouTube and the hugest thank you so those of you who are returning to the podcast, it really means such a lot. It's quite a long episode today with a few works in progress, an almost finished object, a lot of lovely things and I announce a lovely new giveaway. The magical provisional cast on I mentioned. Lovely swap goodies from Mina. Check out Mina's podcast Knitting Expat Podcast and look out for her new Etsy shop Mina Makes, it will be opening soon. The lovely Leigh has given us a bag to give away - yay! 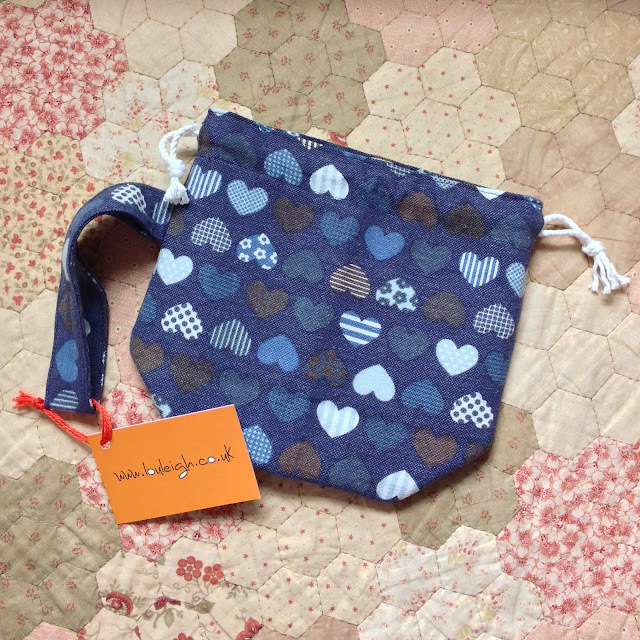 I love my little bag like this, it is perfect for out and about knitting or just a lovely little project.